Reviews how the Consumption paradigm gained extensive influence over structures of our economic systems and broader culture. 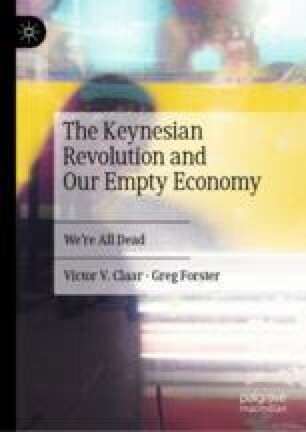 In particular, the chapter examines the role of economists like Milton Friedman and Paul Samuelson in framing what economics is and isn’t for the general public. Through their regular columns in Newsweek, Friedman and Samuelson influenced the way that a generation of Americans came to view economics and also themselves in relation to the economy. What they came away with was a sense that economics was about figuring out the best economic policies to attain goals like full employment, rather than seeing economics as something personal and meaningful. John Kenneth Galbraith had a similar impact through his book The Affluent Society, combining Keynesian economics with trenchant social analysis. Encyclopædia Britannica. 2019. John Kenneth Galbraith. https://www.britannica.com/biography/John-Kenneth-Galbraith. Accessed 21 Jan 2019. Mata, Tiago. 2015. Milton Friedman and Paul Samuelson, Columnists of Newsweek. Journal of the History of Economic Thought, forthcoming; working paper manuscript dated April 15, 2015. http://www.eshet.net/conference/paper_view.php?id=1321&p=39. Accessed 21 Jan 2019. Time Cover Store. 2019. https://www.timecoverstore.com. Accessed 21 Jan 2019.